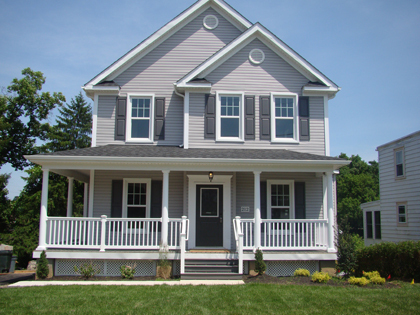 A spec home is a great way to enjoy the benefits of a high efficiency, new construction home without the wait. While the options are more limited, buyers are still able to choose from a variety of customizations such as floor plans, color choices, cabinetry and flooring, while achieving greater affordability. Now that the house you built at 443 Lincoln Street has sold, I'll take a few minutes to reflect on the project. First of all thanks for all the great work you put into the home. The fine work and pride you take in your homes is remarkable. Your honesty and knowledge impressive. I've worked with a few builders in the past and I know some of the challenges that can occur. Your ease, flexibility and accommodations have certainly helped avoid these challenges. Neerland Building has been and continues to be a pleasure to work with. I look forward to working with you with the completion of our Baldwin house very soon. This home is a perfect example of how you can add small details to your home to create a custom look! This buyer added stone and transoms above the windows on the front of the house which added a lot of detail and character. 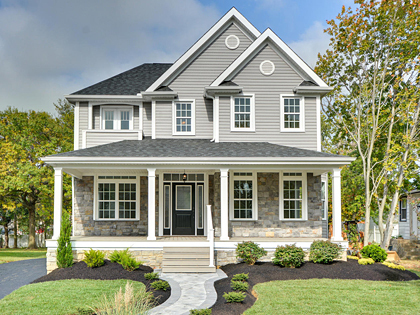 This beautiful home features a classic look with warm, cream color siding, bold black shutters, a craftsman style door, composite decking on the front porch floor, finished with stone and lattice wrapped around the bottom. This look never goes out of style. Our spec homes are of high quality and display character even without a single extra. 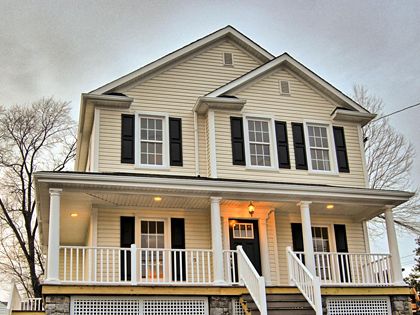 Our houses are air tight and energy efficient. Special attention is paid to insulation, low E glass windows and high efficiency HVAC systems and appliances.